We added a two story addition to this 1930s home. The first story of the addition consisted of a mudroom, kitchen, and family room, and the second story included a laundry room and a master suite. 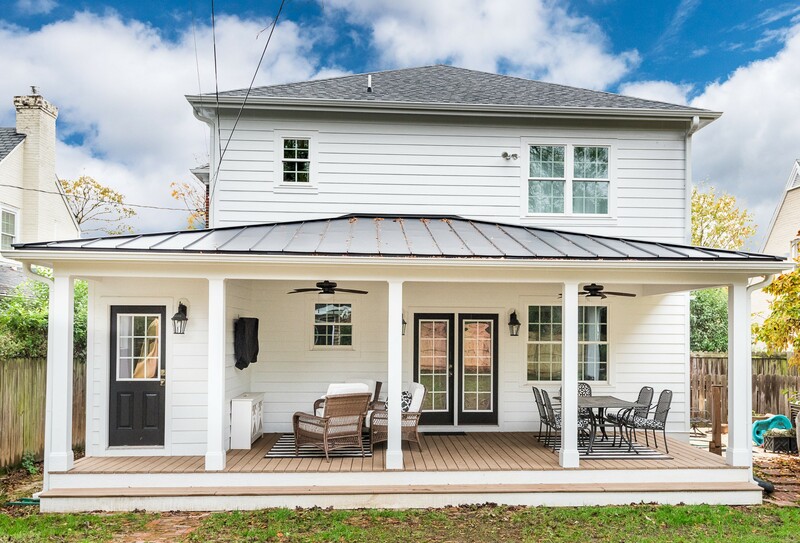 A covered deck with a standing seam metal roof completed the project.